To explore the genetic influences on gonad size, the authors first showed that reduced sugar had no effect on male gonad size, indicating that diet isn't the sole influence. Next, they used the gene editing tool CRISPR/Cas9 to selectively shut off a gene for general female development—the so-called feminizer gene—in early worker larvae. Unlike traditional genetic screens, this method allowed rapid discovery of the effects of mutation, without the need for multi-generational rearing and crossing. 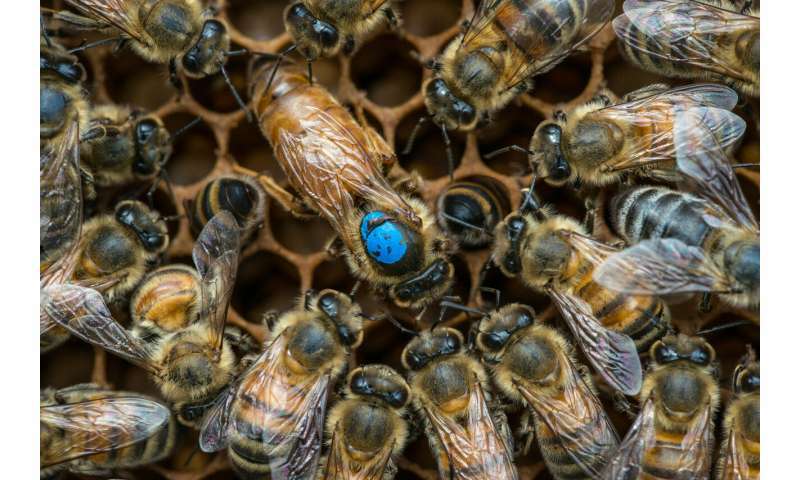 This is the first study in which the gene editing tool has been used to show the effect of mutations in honey bees. Amazingly the same thing happened to president 3 inch. Yeah. But, in his small hands they are YUGE or is it ... bigly.